FQB "Hayley's Garden" Collection is a bright and cheery digital kit with so many creative options! 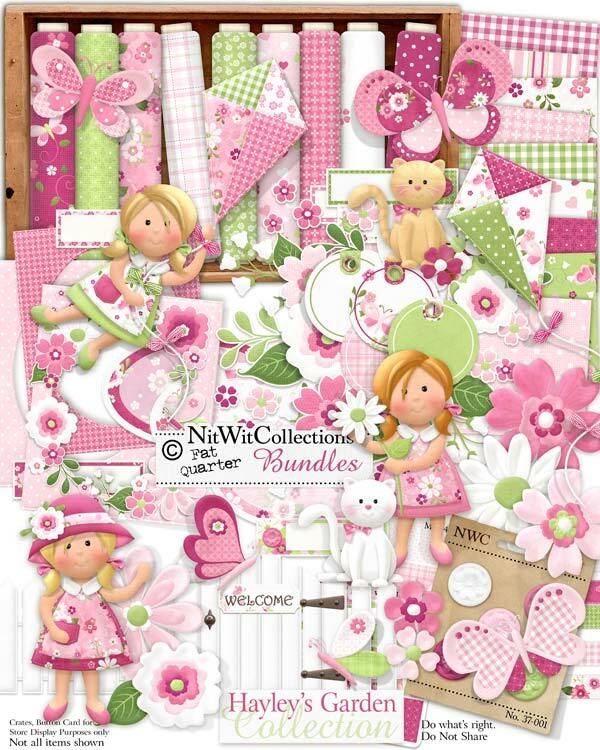 The pretty pinks and greens lend an air to a pretty girl's birthday, playing in the garden or park, a layout or card about your cat or even Spring time and all it's budding glory. If you are liking the colours of this kit....you will easily find multiple layouts, cards and creative outlets that this kit can be used for!! 1 Garden gate with a Welcome sign already nailed up! 1 Sticker cluster of flowers....a pretty bouquet to give? !